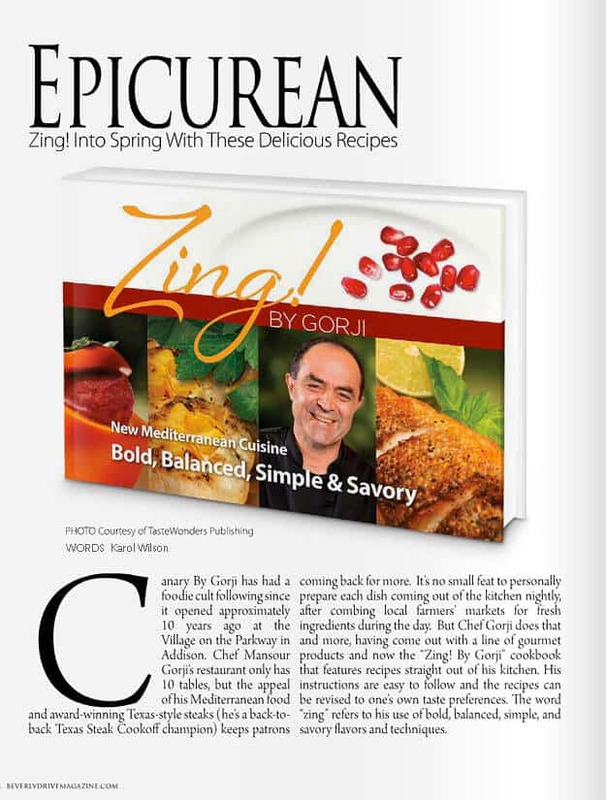 Check out Beverly Drive magazine’s write up about Zing! By Gorji Cookbook. In Karol Wilson’s wonderful article about the book, she describes the instructions being easy to follow which pleases me immensely because I wanted them to be clear and simple to understand. I look forward to hearing from you about your experiences using the book. No Replies to "Beverly Drive Magazine Highlights Zing! By Gorji Cookbook"